Tony started in 2004 and Ira in 2005. They each built bikes for themselves first. Then their friends wanted to ride handmade bikes and they found themselves making more. 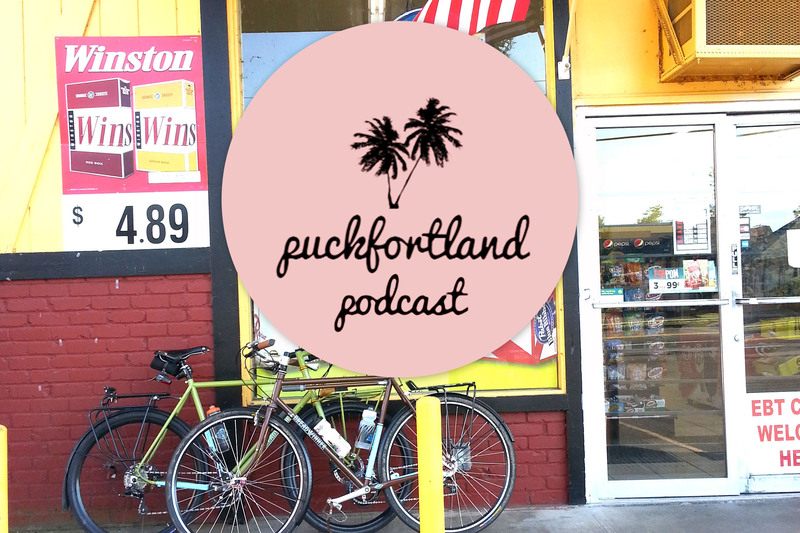 Before long the word spread and Tony and Ira each had successful custom bicycle businesses. Flash forward 12 years and you will find Tony and Ira making custom bicycles together under the Breadwinner Cycles banner. Now our bicycles are better, the process is cleaner and more efficient and our customers are happier. This short film is made to show how the passion of two skilled men has turned into the Breadwinner Cycles that is here today. 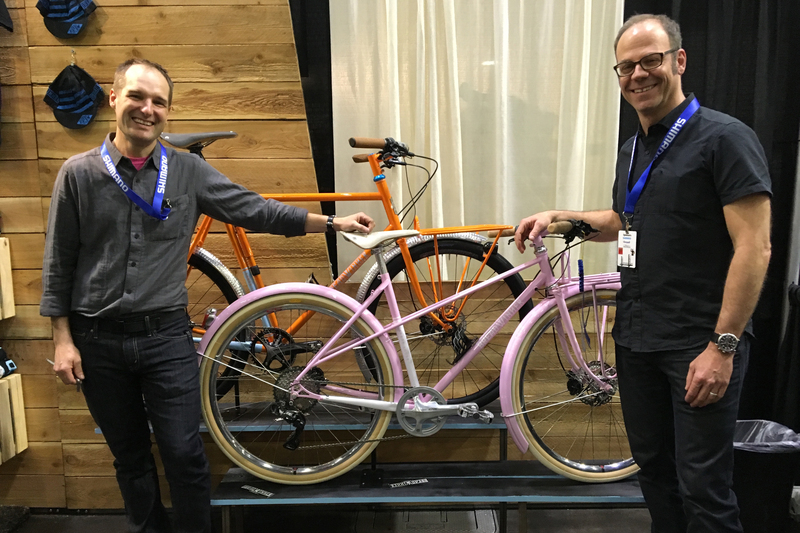 Breadwinner Cycles heads to NAHBS! The North American Handmade Bike Show is a few weeks away and we can’t wait! The excitement of showing beautiful custom bikes on the occasion that punctuates our birthday is overwhelming every year. Ira Ryan and Tony Pereira, the owners and frame builders of Breadwinner Cycles, practiced their trade under their own names. It was at the show in Denver in 2013, ten years into their careers respectively, where they officially launched the new joint venture. The goal was to make the best steel bikes for the most discerning riders without having the arduous wait list. At the time the wait for an Ira Ryan Cycles or Pereira Cycles was close to a year and a half! 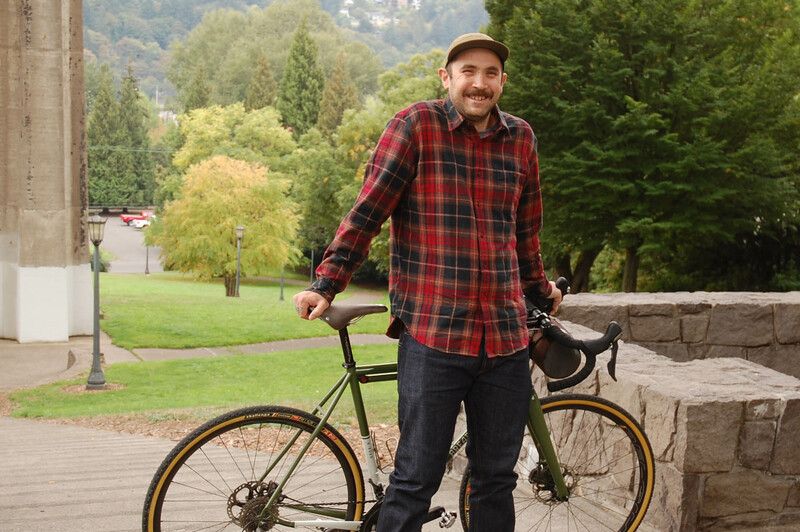 Chaise is a Portland local who loves his B-Road. 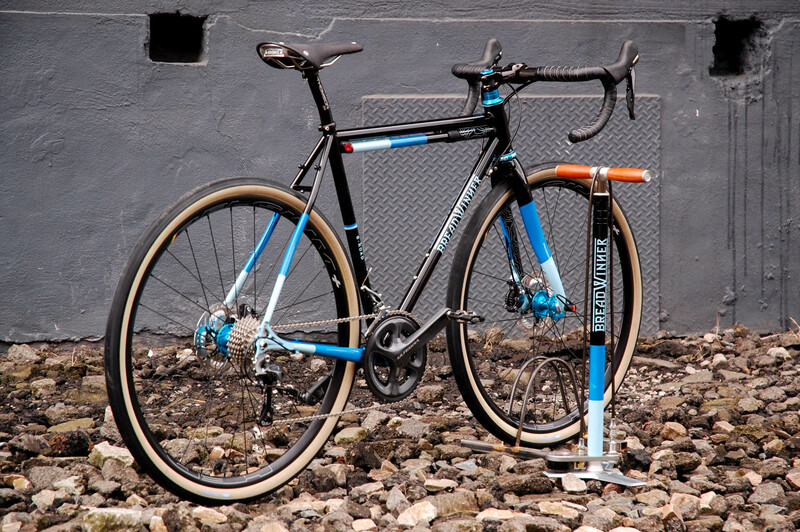 Just in time for Holiday delivery, we are proud to offer this special edition of our gravel grinding adventure bike. Now available for all of you who love to take the long way home. The Take the Long Way Home B-Road is the dream gravel adventure rig. With limited edition paint, premium parts from Shimano, Chris King, Thomson and wheels by Sugar Wheel Works–Basically the works–all at a special price. My son Oscar started riding a balance bike when he was 18 months old. He took to it quickly and got on a pedal bike when he was 3. We’ve spent lots of time at our local indoor bike park, The Lumberyard, where he has learned so many skills. This is Oscar’s third summer on a pedal bike. Almost 6 now, he outgrew his old 16″ wheeled bike over the winter and was also ready for handbrakes so we could do some trail riding this year. 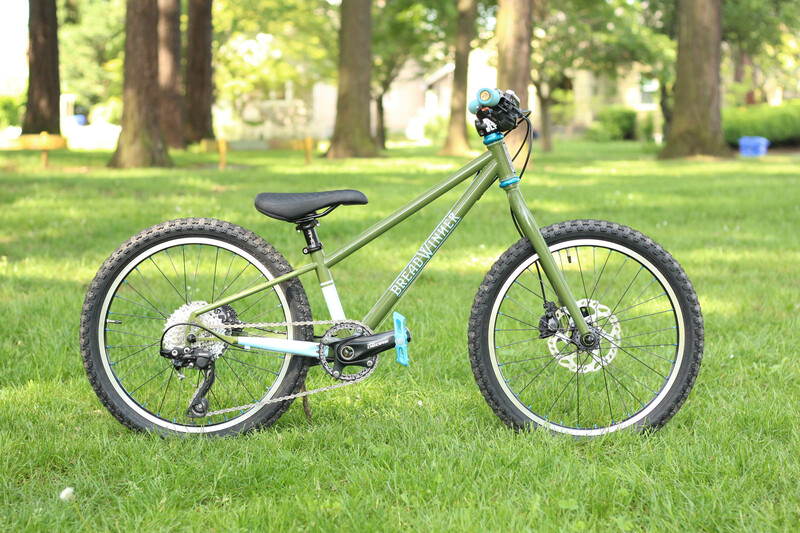 His new bike is a 20″ with a suspension-corrected rigid fork, 140mm cranks (cut and tapped Shimano Deore). When he needs it I’ll swap in a suspension fork. I’m hoping he’ll get 3 years out of it. Ira and Tony leave the shop with their mountain bikes on their motorcycles for a ride up the Columbia Gorge to the Syncline Trails. 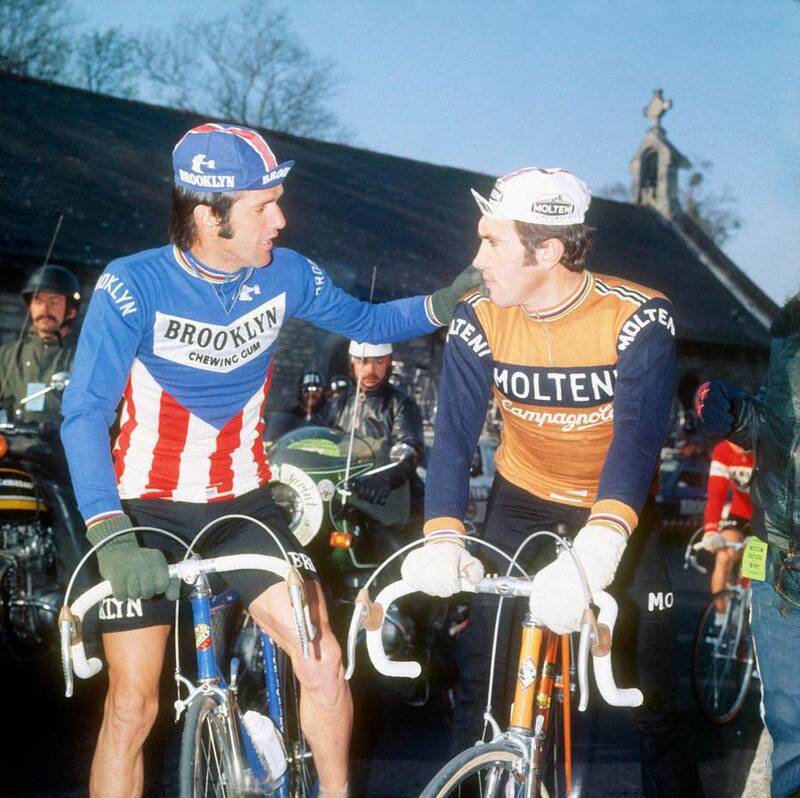 The Tour de France is well under way and reminds us of two of cycling’s greatest rivalries: Eddy Merckx and Roger de Vlaeminck. These legendary Belgian athletes were fierce competitors in the classics and grand tours of the early 1970s. Both Merckx and de Vlaeminck were known for their hard-man style and Merckx holds the top spot for the greatest of all time in cycling history. The upper mid-west is known for its tough as nails work ethic and also for its Flemish-like weather for cycling. We have two great customers who love that 70’s cycling style and we built them bikes to pay homage to the Belgian heritage of road racing. 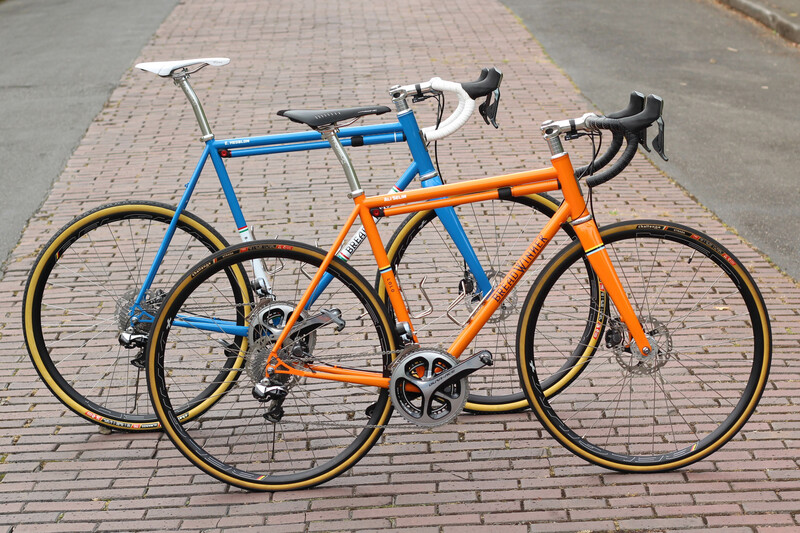 Ali and Ed commissioned a pair of Eddy Merckx and Roger de Vlaeminck inspired Breadwinner bicycles. 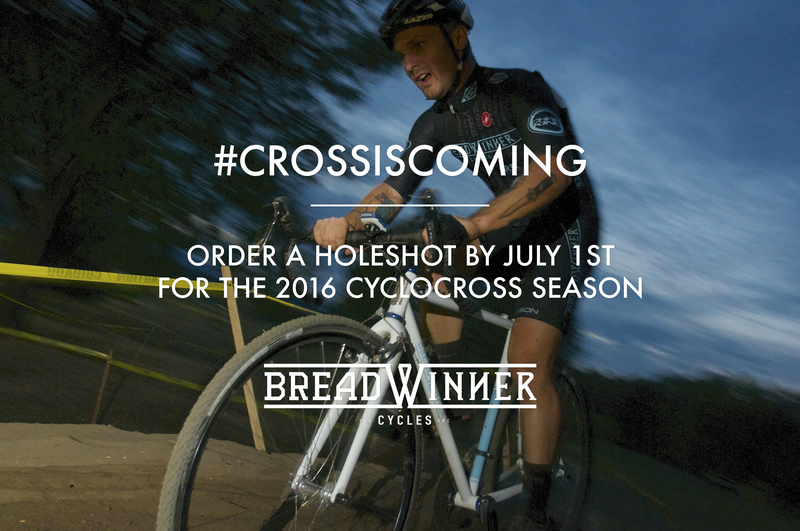 Order a Breadwinner Holeshot by July 1st and receive it in time for the 2016 cyclocross season. It was on a chilly fall day over 10 years ago that Ira and Tony met at a Cross Crusade Cyclocross race in Portland Oregon. On that day Tony was racing and Ira was spectating. By that time they each had built a handful of frames and were instantly friends. 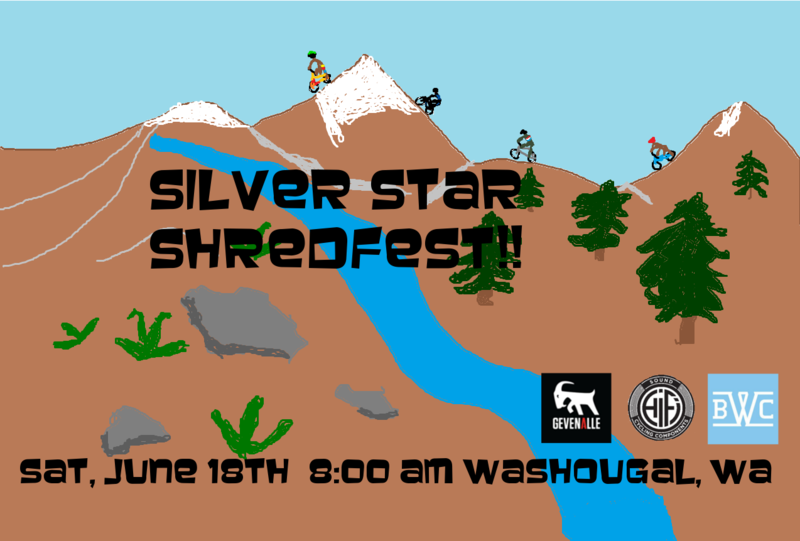 Flyer by 17yr old Breadwinner CX team rider Brian Hart Jr.
We are stoked to promote and help out Breadwinner Cyclocross Team Rider Brian Hart Jr. with this epic ride he put together; The Silver Star Shredfest. Brain joined the team before the 2015 race season for a number of reasons. Although he is fast (we like to win races) he is a real stand up guy. He, along with the rest of the Hart family, races almost every off-road event there is around the Portland area. We love Brian and his family for their enthusiasm and support of the cycling community. It is common to meet them at the races with the whole family kitted (or clad in their somewhat signature race skirts for the ladies) with a plate of fresh baked cookies or hand-knit Breadwinner beanies.